The latest Government Expenditure and Revenue Scotland (GERS) statistics, which have fuelled debate over the prospects of an independent Scotland in recent years, show the country spent £13.4 billion more than it raised in 2017/18. The deficit was 7.9% of Scottish GDP – improved from the 8.9% in the previous year, but still four times higher than the 1.9% of GDP recorded by the UK as a whole. However, the figures also underlined the reviving fortunes of the North Sea oil and gas sector, with Scotland’s share of revenues increasing from £266 million in 2016-17 to £1.3 billion. 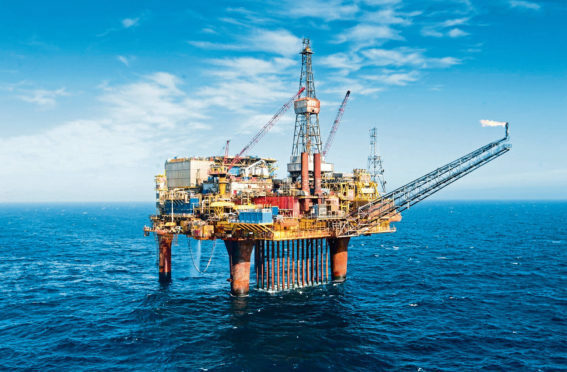 Oil and Gas UK’s upstream policy director Mike Tholen said it showed the steps the North Sea industry had taken to become more efficient since the oil downturn. “This evidences the striking transformation of the UK’s oil and gas industry since the downturn,” he said. “Improvements to operational efficiency, careful management of costs and a stable fiscal regime have ensured it is better placed to weather volatility in international oil markets. First Minister Nicola Sturgeon said the figures showed that Scotland’s economy was on the “right trajectory”. The SNP leader added: “There are very good reasons why public spending per head in Scotland is higher than it is in the UK, not least the rurality of our population. However, Scottish Secretary David Mundell described the level of Scotland’s deficit compared to the UK figure as “concerning”. He said the figures “also confirm that being part of a strong United Kingdom – the fifth largest economy in the world – is worth nearly £1,900 for every single person in Scotland, which supports vital public services”. “Simply put, Scotland contributed 8% of UK tax and received more than 9% of UK spending for the benefit of families across the country,” he added.